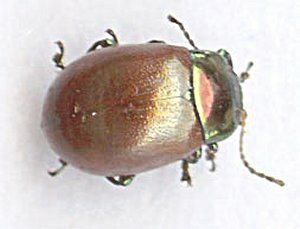 Probably the commonest and most widespread British species of Chrysolina. Overwintering: Adults hibernate in logs and under bark etc. from October to March/April. 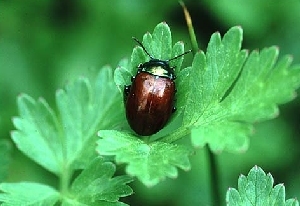 Food: Adults and larvae feed on leaves; adults may also feed on pollen. 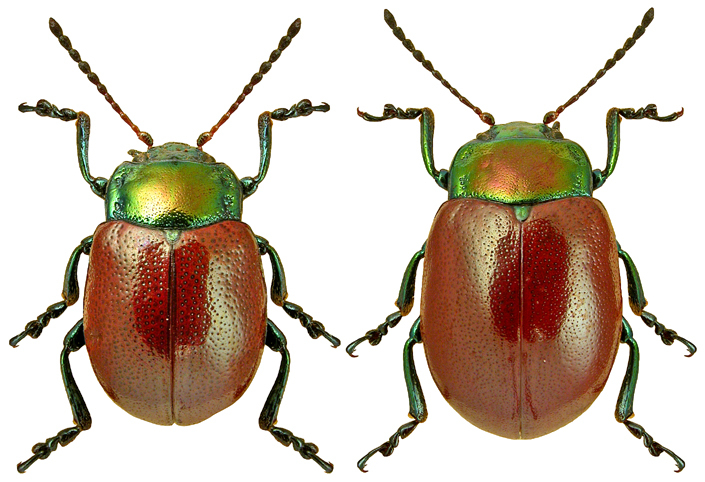 Other notes: Occasionally, the pronotum is red-purple; rarely, the metallic green colour is replaced by blue. Read, R.W.J. (1992). 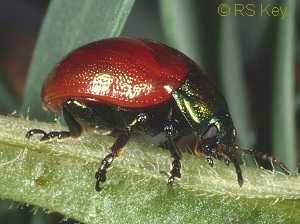 A new hostplant of Chrysolina polita (Linnaeus) (Chrysomelidae). The Coleopterist 1(2): 19.